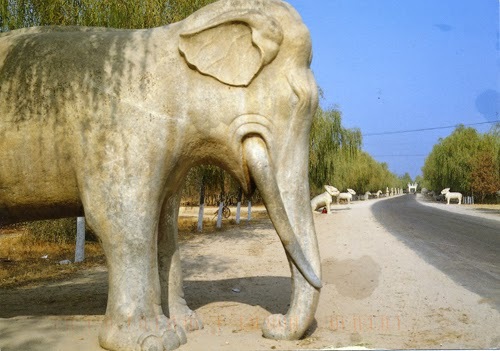 These elephants line the road to the Ming Tombs in Beijing. 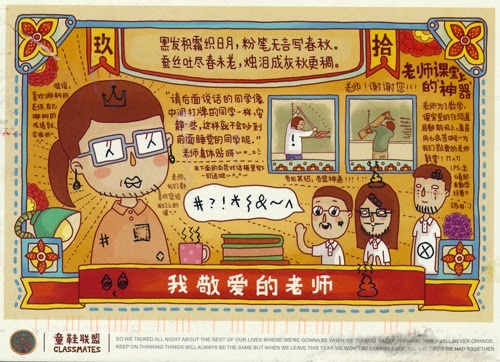 It was sent by a 14 year old postcrosser living in Beijing. 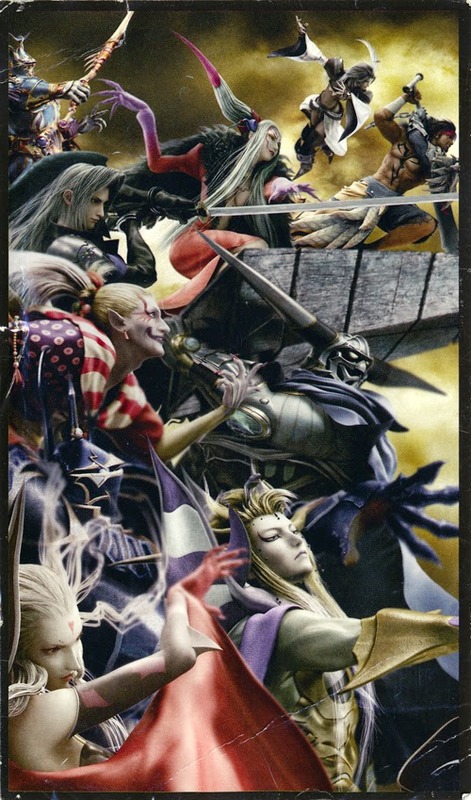 He comments that my demand for altered postcards was interesting. 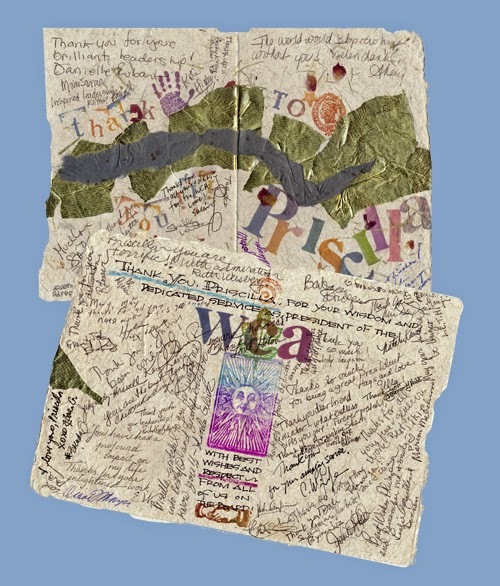 In his message, he incorporated cut up phrases from an English language magazine. 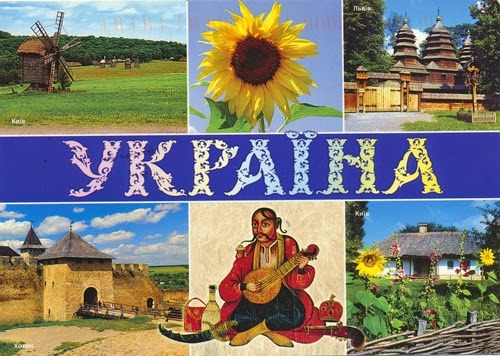 A beautiful card from Vinnitsa, Ukraine. 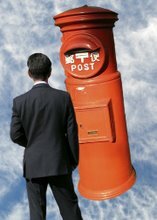 This postcrosser enjoys reading, singing, riding a bike and swimming. 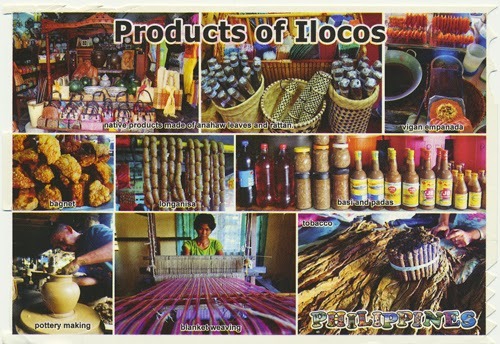 A lovely card showing all the products from Ilocos. They've got everything from empanadas to weavings to sauces and sausages. Something queasy about the top card from a postcrosser in Holland. This is apparently a TV series about an aggressive father. I wonder if it is a comedy? 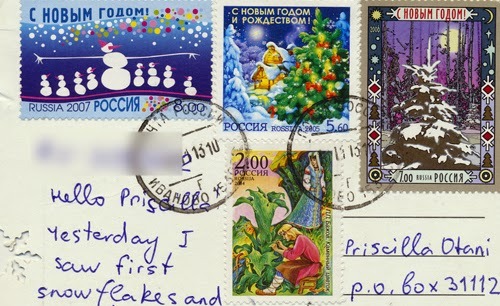 The lower card is from a Ukrainian postcrosser, who picked up the card in Denmark. 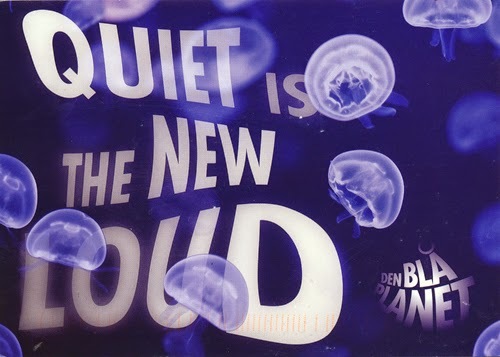 I always associated "quiet" with something pleasant, "loud" as something unpleasant. Three cards that incorporate words in their design. 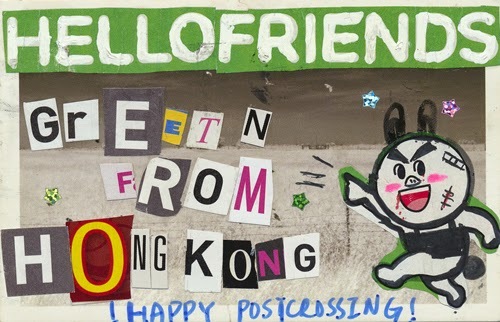 The top card is from Hong Kong, made by cutting out words from a magazine and using a marker and stickers. The middle card is from a writer in China. 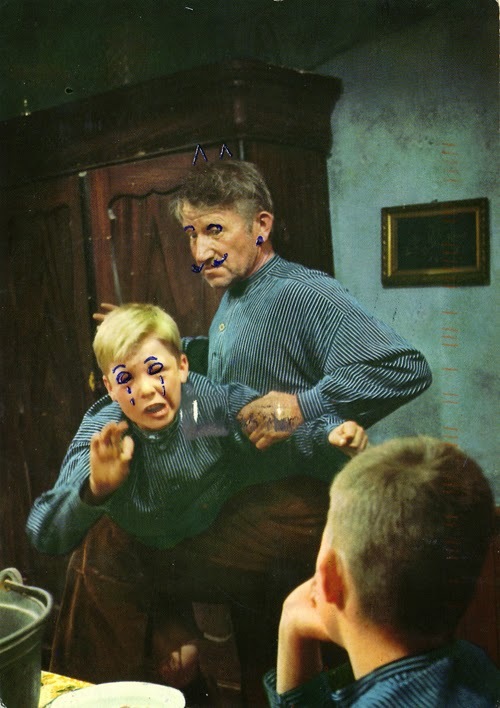 She altered the faces and added some of her own text to add some humor. 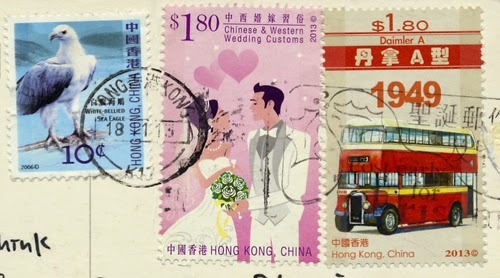 The bottom card is from Hong Kong, with wording and imagery complimenting the beautiful postage stamp. 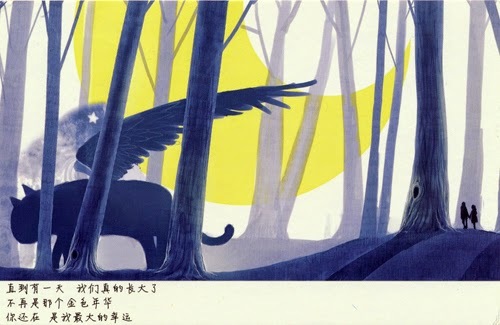 The top card of a mysterious winged cat is from a Taiwanese postcrosser. The middle card is from a fantasy novel fan also from Taiwan. 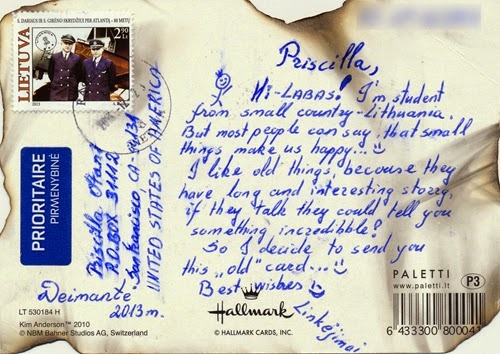 And the bottom card, burned and charred, is from a postcrosser in Lithuania. 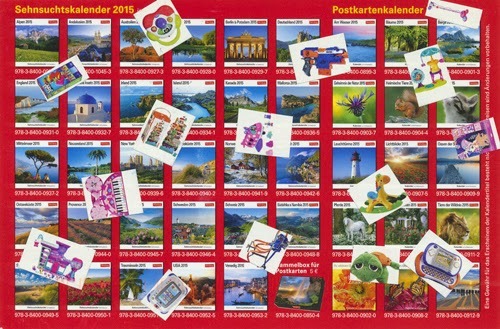 I am a fan of over the top multiview cards such as this one sent by a Swiss postcrosser. She altered this otherwise rigid grid layout by randomly adding stickers. I love this disruption! 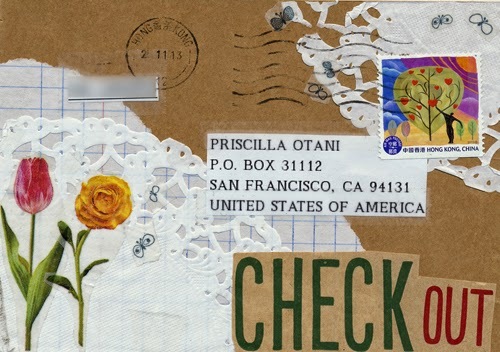 Susan sent this card in February, soon after our annual trip to the Oakland Museum White Elephant Sale. 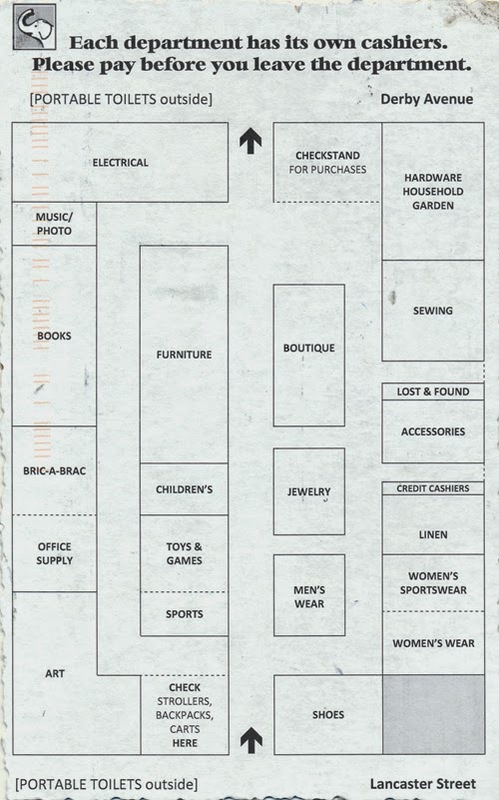 This is a very valuable card as it gives the layout of the huge warehouse and shows the categories of items. I know this layout by heart since I have gone pretty much every year for more than ten years. WES is an annual event for Susan and me and anyone else who is interested in getting the best ever bargains in practically every used object you can imagine. 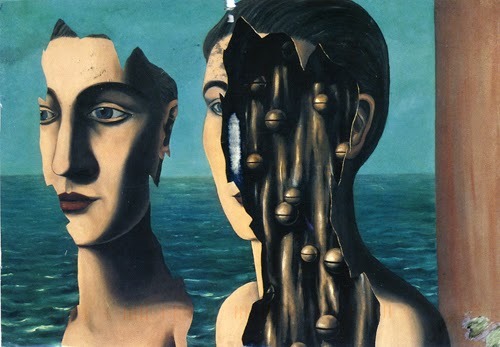 Irma saw a Magritte exhibit in Chicago and sent me this mysterious two-faced card. I finished serving my two-year term as national president of the Women's Caucus for Art in February this year. It was quite an undertaking with heavy workload and drama. Nonetheless, I managed to run two conferences, four board meetings, and kept the organization's budget on an even keel. The members of my board gave me this beautiful handmade card created by Riko Takata, filled with good wishes and thanks.